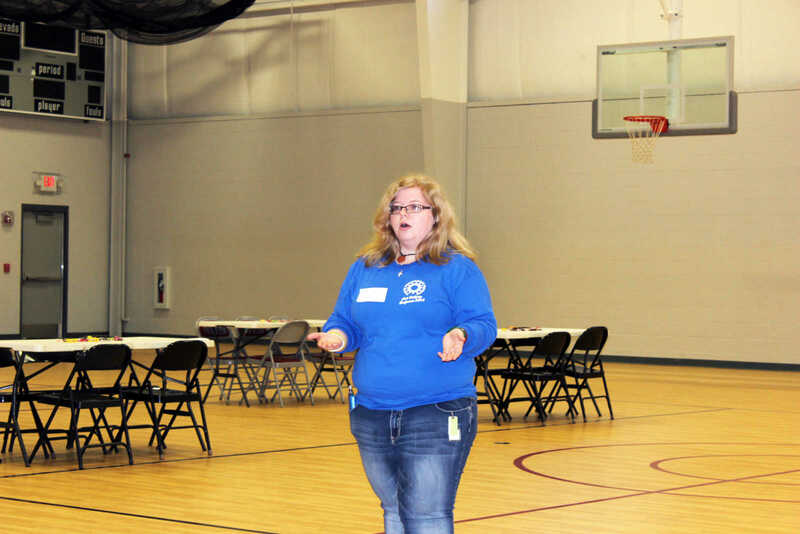 Madeline Garret welcomes students to the inaugural Anti-bullying conference. 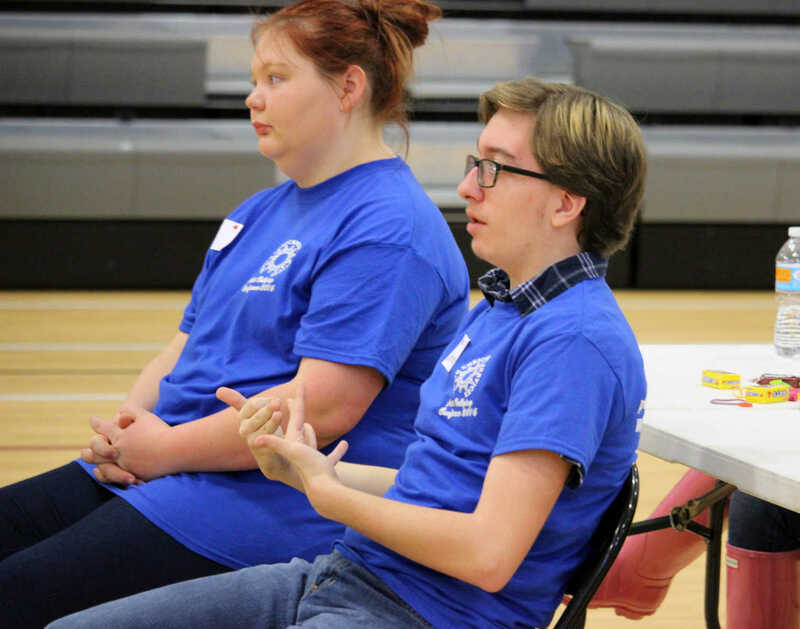 Youth Enrichment Services mentor, Tom Geeding speaks to students from Sheldon and Nevada High School and Middle School about the Anti-bullying conference. 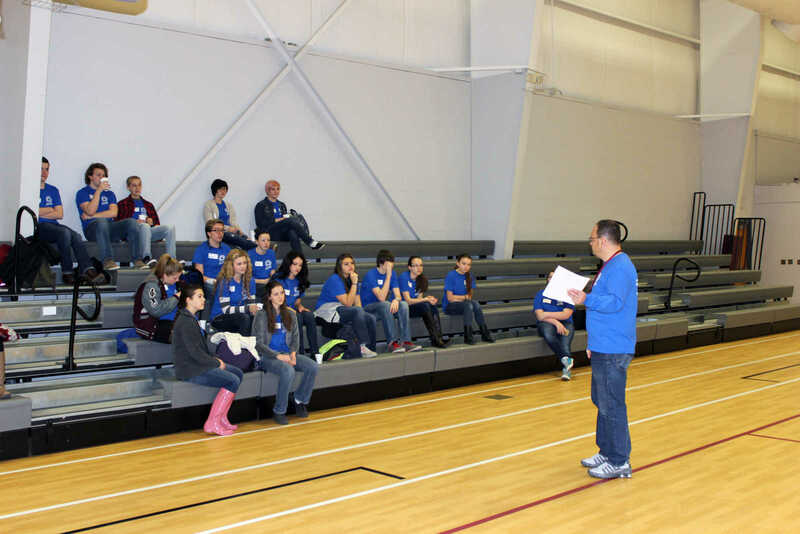 Tom Geeding speaks to the students at the Anti-bullying Conference, Firday, Jan. 22. 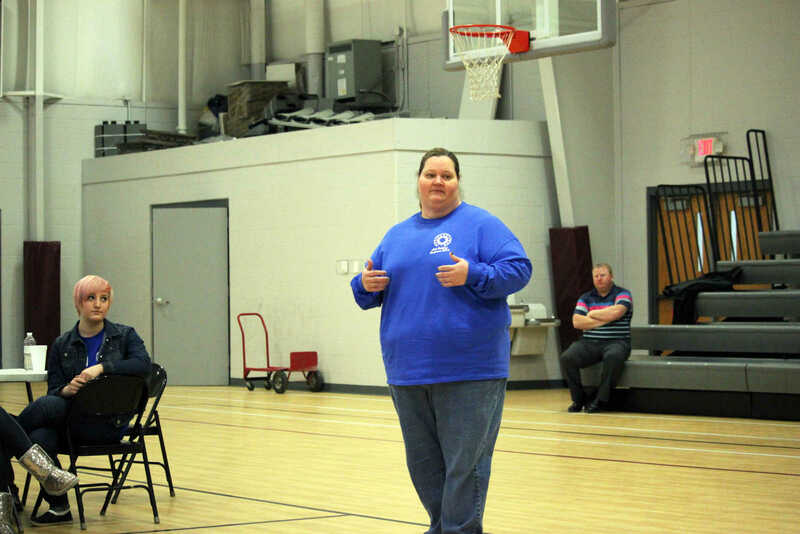 Jennifer Thomas, Deputy juvenile officer for Vernon County speaks to students about the legal ramifications that can come of bullying. 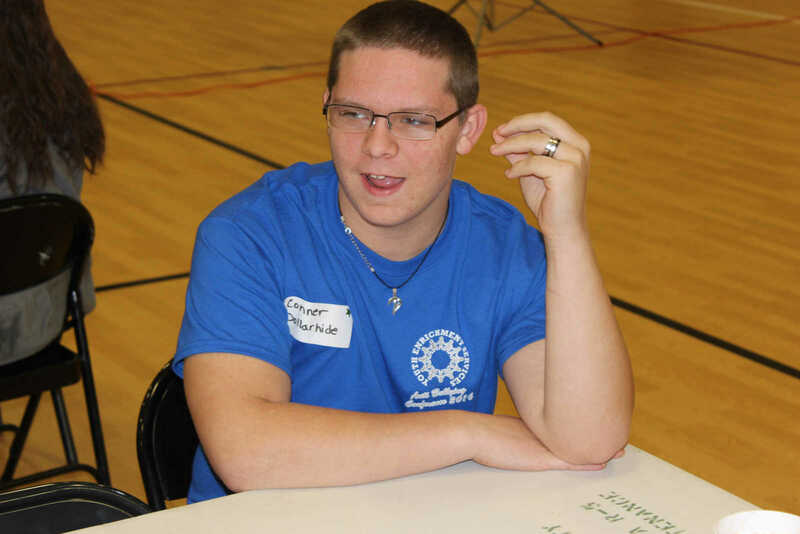 Devin Johnson asks a question to one of the presenters. 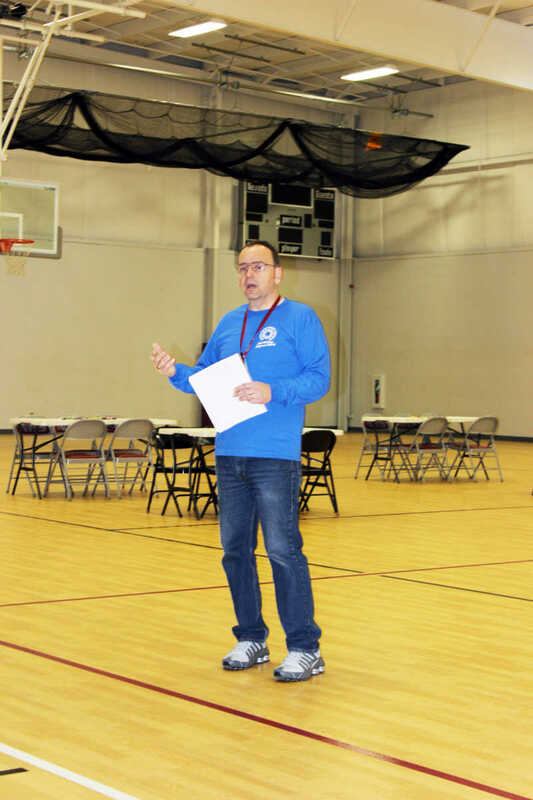 Conoor Dollarhide shares his thoughts during a group excercise. 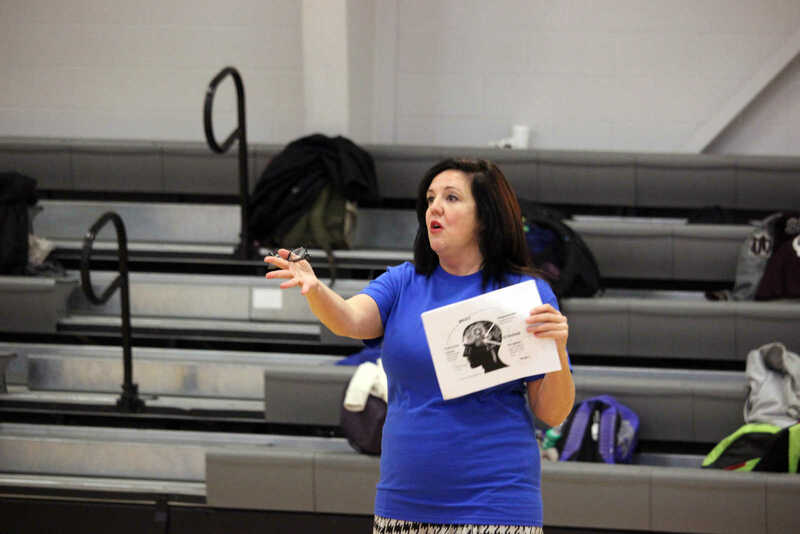 Dr. Tricia Bridgewater speaks about the â€œBrain on Bullyingâ€� talk. In her hand is a break down of the brain and itâ€™s reaction groups. 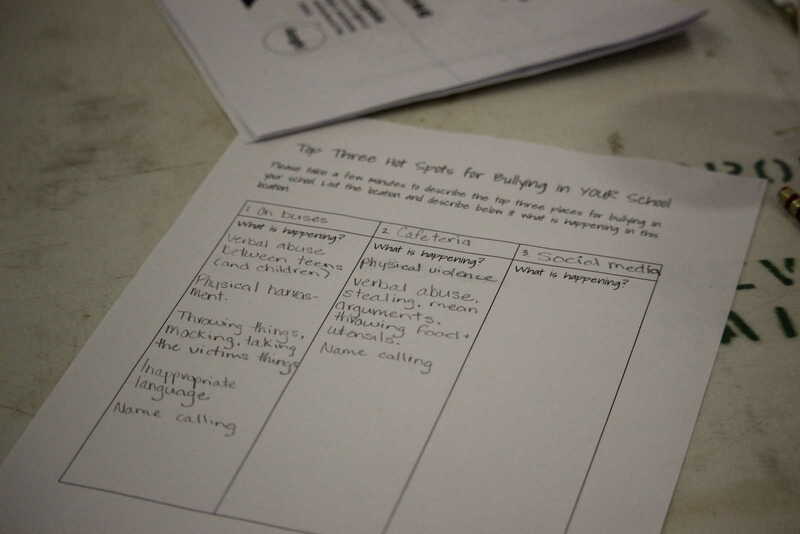 The students were asked to fill out documents on locations of bullying. 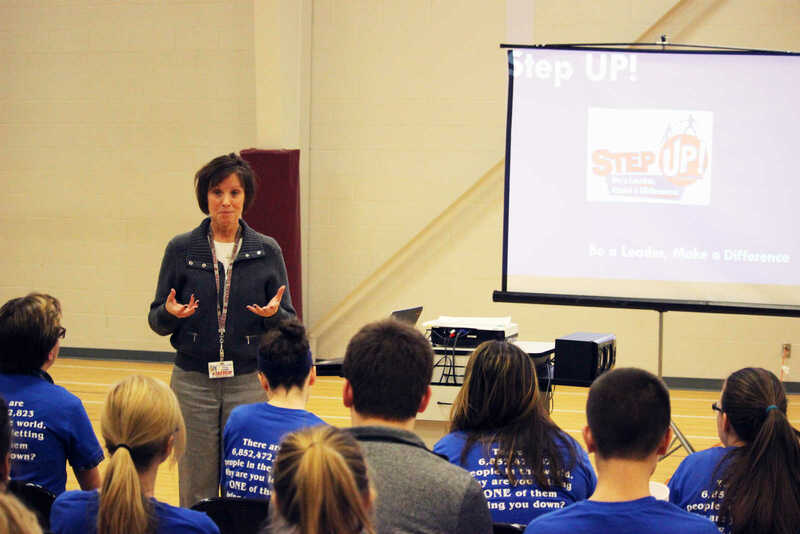 The Youth Enrichment Services program will send theses documents to all of the Vernon County Schools, and State Representative Patricia Pike in Jefferson City.